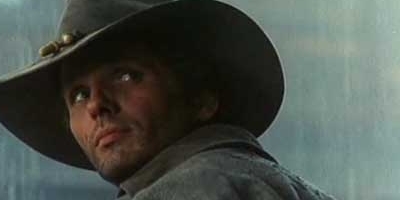 Appropriately for its later position within the cycle, this enjoyable, meandering, revenge and "girlfriend in peril" western from Michele Lupo, with its ruination and ramshackle towns, ponders a period of transition. Here, in this Italian and Spanish co-production, anachronistic bounty hunters inhabit a world in which order and democracy is being established in the wake of the American Civil War. However, the results are stylistically closer to Fulci's western from the period than any of the Leone inspired classics. Nevertheless, by the way of continuum, fans will, no doubt, note the presence of genre veterans such as William "Banjo" Berger, Franco Ressel and Romano Puppo alongside star Giuliano Gemma.